“BOOK NOW, PAY LATER” is a feature that gives you the opportunity to reserve your room without pre-payment or even giving your credit card details. How can I make a free reservation? Only condition for free reservation is membership. Once you login with your membership account, “RESERVE” option will be activated. Until when I can keep my reservation? How can I pay? During your reservation process and in your mail notification, you can find the payment due date of your reservation. Your outstanding payment must be paid by the due date given, after this payment has been received, your reservation will be finalised, then your booking confirmation along with other necessary documents are sent to your mail address. I changed my mind, How can I cancel? From the same order menu, you can go to the related reservation and click on the “CANCEL” button. If you do not complete your paymen by the due date, the system will send you a warning e-mail, and then your reservation will be automatically cancelled. * This function is valid for “hotel only” reservations and not for the “dynamic package“ offers. * You can make one reservation at a time. A reservation could have more then one room in the same order. * Hotel keeps the right of changing the due date and can ask for early payment if there is a high occupancy and very few rooms left for the period you have reserved. * Non Refundable rooms are not available for this feature. 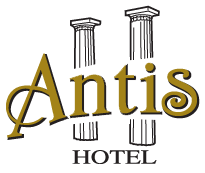 Antis Hotel Special Class Reservation services provided by IATI Turizm Ticaret A.Ş.